With hotels moving away from the corporate look and feel of a modern lobby, in favour of creating a homely and comforting ambience, many are finding that the key to this is the presence of a fire. However, it is easy to be put off by the high maintenance cost and upkeep of a real flame fireplace, not to mention the need to meet stringent health and safety regulations. 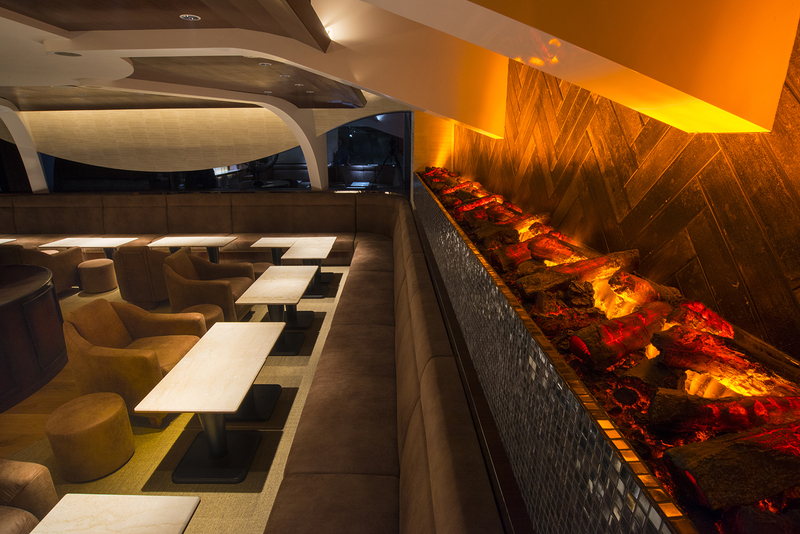 We explain why an increasing number of establishments are opting for the convenience of electric flame and smoke effect fires. In recent years, the rising popularity of lifestyle trends such as mindfulness, the art of being present in the moment, and ‘hygge’, the Danish practice of living cosily, has only served to elevate the experience of curling up in front of the fire. Being mesmerised by the flames dancing across the hearth while listening to the sound of crackling logs is still regarded as the ultimate in relaxation during the winter months. 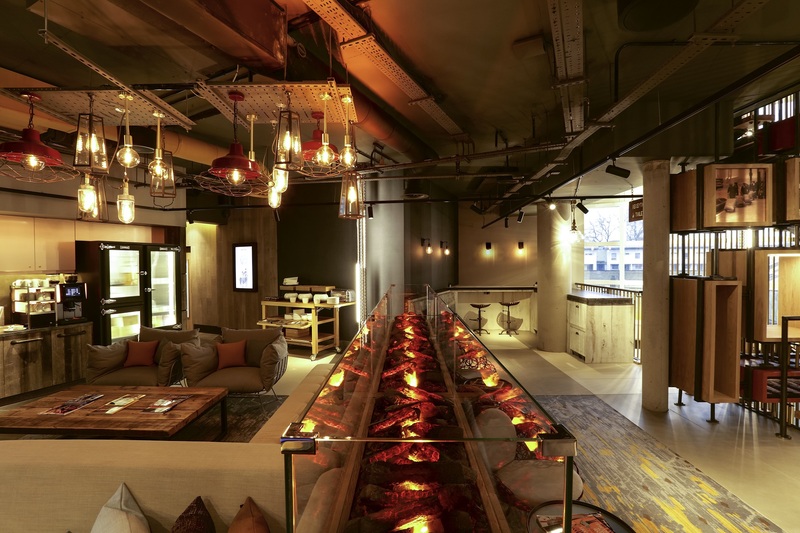 With hotel design continually evolving, establishments on the lookout for the latest cutting-edge additions have been quick to recognise the impact that a visually striking fire centrepiece can have on guests, and inevitably revenues. Despite this, many hoteliers are reluctant to install an open fire or a wood burning stove. In a commercial setting it can throw up a myriad of health and safety concerns, whilst some fuels are subject to the Clean Air Act, putting restrictions on what you can burn. Luckily, thanks to the continued development of electric flame and smoke effects, hotels can now create the illusion of fire in their lobby, bar or even bedrooms. There is no fuss, no safety concerns and no heat - so it can be used all year round, without creating overheated spaces that rather than being welcoming actually serve to drive guests away. That is a sight that will be common to anyone who has visited a traditional pub with a roaring fire and a no-go zone of empty booths and tables due to the intensity of the heat. The Dimplex Opti-myst effect, however, employs unique state-of-the-art, patented technology, creating the world’s most realistic 3D electric flame and smoke effect. An ultra-fine water mist is created using ultrasonic technology and as the vapour rises up through the log-effect fuel bed, the light reflects against the water creating a highly convincing yet cool, illusion of flames and smoke. The result is an appearance so authentic that it is regularly mistaken for true flames and smoke. The innovative technology has proven credentials, having been placed at the centre of the revamp of the Gentleman & Scholar tavern-style bistro pub at Hyatt Regency in Birmingham, as well as the Novotel Canary Wharf in London. In both cases, the stunning Dimplex Opti-myst cassette creates an aesthetically striking centrepiece and what’s more, the only ongoing maintenance required is refilling the water tank now and again, although this can be plumbed in to ensure a constant water supply. By combining the beauty of a real fire with the simplicity of electric power, the Dimplex Opti-myst is a must for hotels looking to create a warm, welcoming and luxury atmosphere, guaranteed to leave a lasting impression with guests and secure that all-important competitive edge.